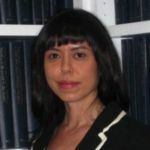 Jennifer Kubota is a postdoctoral fellow at New York University. She received her Ph.D. in social neuroscience from The University of Colorado Boulder. Her work focuses on the psychological and neural substrates of impression formation and their relation to decision-making.